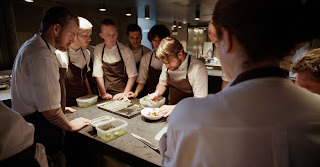 Although I've eaten in some great places in Copenhagen, Chef Rene Redzepi's Noma hasn't been one of them. If you haven't heard of Noma, maybe all you need to know is that it was given the title World's Best Restaurant four times (2010-2012, 2014). Redzepi is credited with giving Nordic cuisine global attention. He built his menu around the concept of seasonality: diners should know both the time and the place in which they are eating. So each ingredient had to be available in Scandinavia on the day it was served in the restaurant. What's more, the food had to be regionally produced or harvested. To say that Redzepi is an innovator is an understatement. He found ways to allow local foods to shine like they never had before. The documentary Noma: My Perfect Storm introduces us to the chef, his staff and restaurant, and even his suppliers. We learn that Redzepi is both moody and realistic, both a taskmaster and a father figure to his staff. The filming is nicely done (except for one jittery scene at the end), and the scenery is gorgeous. Director Pierre Deschamps highlights Redzepi's great successes and creativity but also shows us the setbacks the chef had to overcome (for example, an outbreak of norovirus affected about sixty of Noma's patrons in 2013). 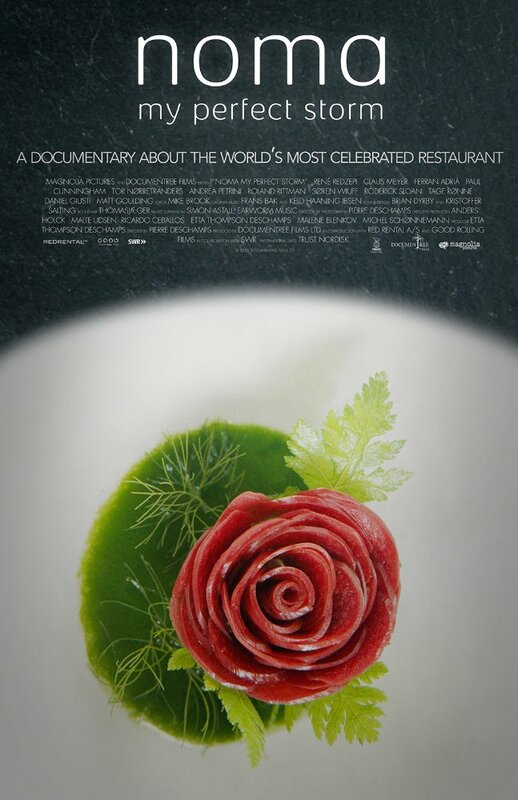 The documentary itself didn't make me want to make a reservation at Noma (good thing too because the Noma shown in the film no longer exists), nor did it make me want to cook like Redzepi. On the other hand, I liked learning about the chef's rocky journey, and I'm curious about his still-being-built new venture, only hinted at in the documentary. Keeping with the chef's locavore philosophy, the resurrected Noma will feature on-premises greenhouse growing and lakeside dining. Take a look at the trailer and put Noma: My Perfect Storm on your list. It may not be the best restaurant documentary you'll ever see, but Chef Rene Redzepi is unique and worth meeting. I'm not sure I'd want to eat some of that food but those plates sure are wonders to look at! I bet this was a fascinating film. Now I want to go back to Copenhagen as I sit here and eat my bacon and tomato sandwich on white bread. 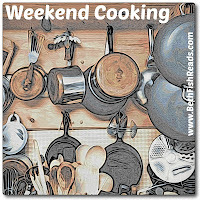 I almost am never interested in the food cooked by the best chefs, which is good I suppose from a financial standpoint! Just the cover alone of the movie, makes me want to view this. You always find the best documentaries. Enjoy your day. I just added it! Thanks. 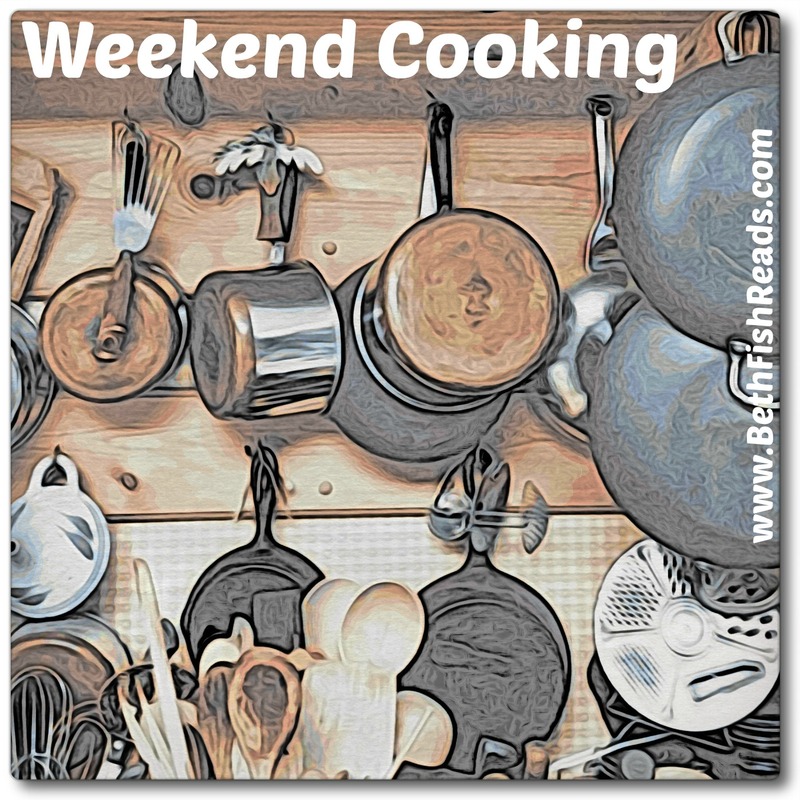 I hope to post this weekend. It's been too long. Wow! He's creating such beautiful presentations, hard to judge the taste, but I'd certainly like to try. I'll be looking for this, it looks very interesting. Not sure how much of the food I'd want to try though. Noma was such a small restaurant that in the contest for best restaurant it needed (and received) more votes than there were possible seats in the dining room during EACH entire year when he won. In other words, some of the votes had to come from people who never ate there. It had some very off-beat food ideas nevertheless, so a documentary has a lot of appeal. Would maybe go with the Netflix Chef's Table documentaries. I love behind-the-scenes stuff about restaurants, I find them fascinating. I saw this documentary on Netflix (or Prime?) and thought about watching it, but didn't. I didn't know Noma had shut down either. Was it a fire? An episode of Anthony Bourdain's (fantastic) Parts Unknown followed this chef, and though I'm the furthers thing from a foodie you'd ever meet, I was fascinated. So strange to me that I love to watch shows about food I'd never eat.